My best YouTube rock and metal guitar lessons expanded with tab workbooks, backing tracks and Guitar Pro tab files! Some of my most popular YouTube videos covering scales, theory, technique and more...expanded with downloadable tab workbooks, Guitar Pro tab files and other extras! NEW! Blues Guitar Launchpad is THE blues training for beginner up to intermediate blues guitarists, showing you how to nail the essentials of blues guitar...fast! 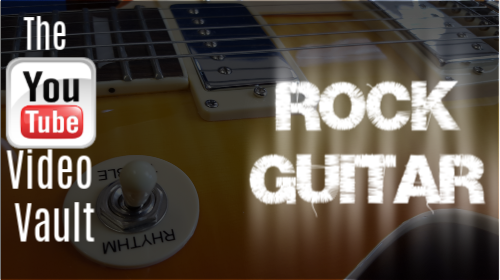 Explode your rock soloing with the original 'stand alone' version of Rock Guitar Lick Lab. 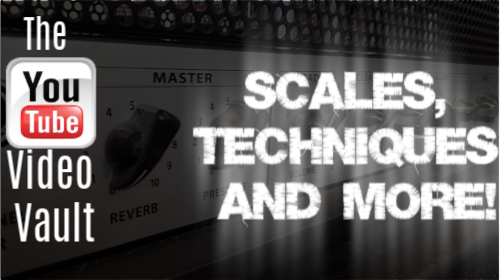 Complete with 2 awesome bonuses to boost your playing technique and jamming chops! 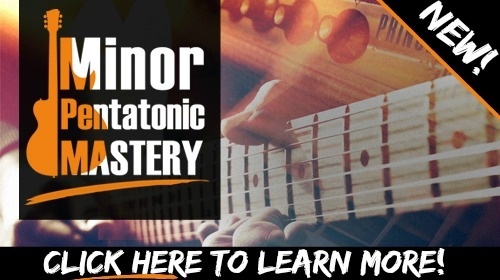 Everything you need to master minor pentatonic soloing all over the fretboard in rock, blues and other styles!